● If you wish to CANCEL an order. Option is availabe in Mobile App CANCEL ORDER. You may cancel your order any time before dispatch. You will get REFUND Full Amount in terms of STORE CREDIT. You can get REFUND Full Amount as STORE CREDIT to use in next order. You can use STORE CREDIT full or partially. Refund in Bank Account : Amount will be refunded after deduction of 5%+ GST (Two Way Payment Gateway Charge) in your same account which you have used. ● PGMEE BOOKS ARE NOT RETURNABLE. ● If Shipping Free then (Rs. 100) per item will be deducted. ● If atithibooks.com is unable to fulfill your order either fully or partially (in case of non-availability of items) the corresponding amount will be refunded to your account. In this case, the reverse shipment charges will be borne by us and will be refunded. ● In case you'd like to return an item(s) either partially or fully, for any other reason than mentioned above, the corresponding amount minus the courier charges will be refunded to your account. In such a situation, the reverse shipment charges will be borne by you. ● Please note that in case of a return, the refund process will be initiated only after all item(s) have safely reached ATITHI MEDICAL BOOKS PRIVATE LIMITED office. ● It is important to remember that the item(s) must be unused and in good condition. 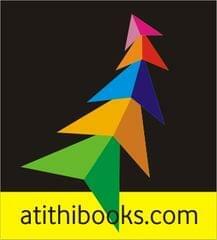 If the item(s) do not reach us in good condition, then atithibooks.com has the right to waive the refund policy. If you have received a damaged or defective product or if it is not as described, you can raise a replacement request on the Website/App/Mobile site within 10 days of receiving the product.